Expired. Lenovo offers the Lenovo IdeaCentre Intel Dual 1.5GHz Desktop with Windows 8 for $249 plus free shipping, when you enter promo code USPQ500228 at checkout. 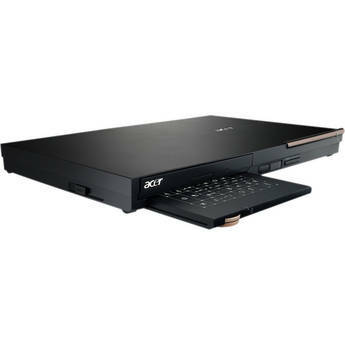 Features: an Intel Celeron 887 1.5GHz dual-core processor, 4GB RAM, 500MB hard drive, 802.11n wireless, media card reader, HDMI output, and Windows 8 64-bit. Expired. HP Home and Office takes $100 off all customized HP desktops over $799 when you enter promo code DT100 at checkout. Or, take $150 off all customized HP desktops over $999 via promo code NB6721 . Expired. Newegg has the Zotac ZBOX Atom Dual Core 1.8GHz Mini Desktop PC, model no. ZBOXHD-ID34BR, for $229.99 after $30 mail in rebate , It's the lowest price we have seen by more than $100! Expired. Dell Home offers this Dell XPS 8500 Desktop for $699.99 after $175 instant discount. Free shipping. Inputs: 4x USB 2.0, 2x USB 3.0, and 1xHDMI. Expired. HP Home and Office takes an extra $50 off all online orders of $699 or more, including HP laptops and desktops, when you enter promo code HPROOM50 at checkout. Or, take an extra $100 off orders of $999 or more when you enter coupon code HPROOM100 at checkout, or $150 off orders of $1,399 or more via code HPROOM150. Expired. Newegg offers the Lenovo IdeaCentre H415 AMD Quad Core 2.4GHz Desktop, model no. 30991RU, for .... after $50 mail in rebate . Shipping is free, and this is the lowest price we could find by $120! Expired. Dell takes up to $100 off select Dell Inspiron, XPS and Alienware laptops and desktops when you enter these coupon codes at checkout. Expired. Dell Home offers the Dell XPS 8500 Intel Core i7 3.40GHz Ivy Bridge Desktop PC together with the Dell U2412M 24-inch Ultrasharp IPS 1920x1200 LED Monitor and $150 Dell Promo eGift Card for $999.99. Of note, you can purchase three (3) $300 Dell eGift Cards and receive a $50 Dell Promo eGift Card for each purchased gift card, and then "consolidate" the three $100 eGift Cards into one, that you can use for this purchase ( click here to consolidate your cards). The $50 Dell Promo eGift Cards cannot be consolidated with any other card. The XPS 8500 features an Intel Core i7 3770 3.40GHz Ivy Bridge (3rd Generation) Processor, 8GB DDR3 1600 memory, 1TB hard drive, AMD Radeon HD 7570 video card with 1GB memory, DVD+/-RW burner, 802.11b/g/n wireless, Bluetooth v4.0+LE, and Windows 7 Home Premium. The Dell U2412M 24-inch Ultrasharp IPS 1920x1200 LED Monitor has 1920x1200 resolution, 8ms response time, 2,000,000:1 dynamic contrast ratio, and 3-year warranty. Delivery is also free for all refurbished Dell Inspiron ONE 2320 All-in-One Desktop PCs, which also include a 1-year Dell warranty. Expired. Newegg offers the Zotac ZBOX nano AMD Dual-Core 1.6GHz BArebone PC, model no. ZBOXNANO-AD10-U, for $169.99 when you enter promo code ZOTA326 at checkout and after $10 mail in rebate . Shipping is free, and this is the lowest price we could find by $30! Expired. Staples offers the HP P7-1126S AMD Quad-Core 2.4Ghz Desktop Computer for $399.99 when you enter $50 off promo code 26684 at checkout. Expired. 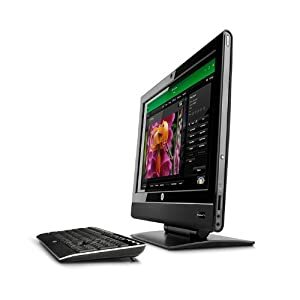 Dell Home offers the Dell Studio XPS 8300 Intel Core i7 Quad Core 3.4GHz Quad-Core Desktop PC with a Dell U2412M UltraSharp 24-inch IPS LCD Monitor for $999.99 when you enter code 16TW5KH21HF73N at checkout. Features include an Intel Core i7-2600 3.4GHz Sandy Bridge quad-core processor, 8GB memory, 500GB 7200rpm hard drive, DVD burner, AMD Radeon HD 6670 video card with 1GB memory, 802.11N Wireless-N, and Windows 7 Home Premium.